Seven years have passed since the original post and the images of this strange place have only gotten better. There are still no blatantly obvious ufo's out in the sun getting washed and waxed, but there are some strange anomalies and there are roads that lead to these anomalies. 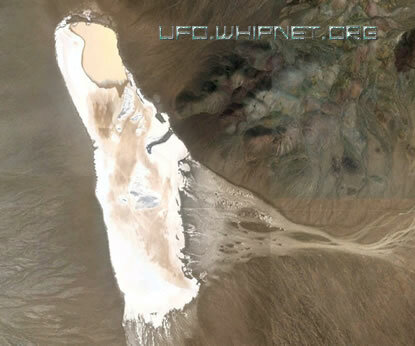 First is the view from far above and then I will zoom in on the area that Bob Lazar claimed they had them camoflagued in a mountain side beside the lake bed. 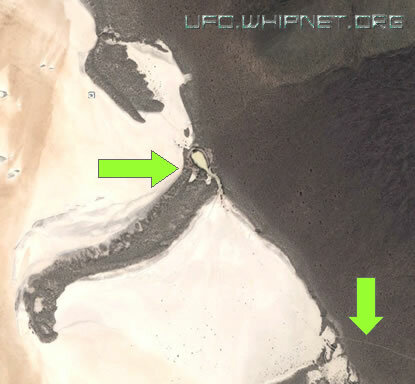 Zooming in on the area focus you can clearly see see a tear drop shaped area with a road that circles it. The teardrop looks like it may contain water or some liquid. 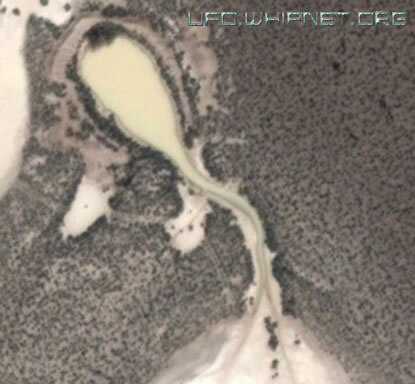 The wall area surrounding the lake looks to be artificially made and the road leads from the teardrop all the way to Area 51.